Is it White or Silver? 16 miles added to odometer since eBay listing. Now, he wants $8,000.00. No mention of the other items obvious in the eBay listing. Last edited by Brit-Car-Nut on Fri 23.02.2018, 06:32, edited 1 time in total. fuel sending unit needs replacement? GOOD LUCK FINDING THAT!!! The car is metallic silver. And yes, I did purchase it on E-Bay in December and have been doing lots and lots of repairs on it since that time. I've put that much money in it so far. I'm loosing money on it. The person I purchased it from did not mention all of the repairs needed. Can you go into detail on what work you've had done to it since buying it? I hope he adds a list of what he has fixed. It will help his effort to sell it. I wasn't trying to harass him about his sale price since I knew he had to pay to get it across the country and he has stated he has done a lot to make it better already. If I can help him find any parts he needs, I am more than willing to assist. Sold on Ebay for $6,777.78 I wonder if he gained or lost money on the sale. tedtaylor wrote: Sold on Ebay for $6,777.78 I wonder if he gained or lost money on the sale. I was interested until i searched the VIN, multiple flips on this one in a very short period with different stories and different versions of what was done and what was needed, the only constant appeared to be the passenger window didn't work, but if you go back to the Hawaii ad the window was smashed, so who knows. Looks like it went from Hawaii to New Jersey to Oakland without actually hitting the road. esprit888 wrote: Looks like it went from Hawaii to New Jersey to Oakland without actually hitting the road. i wonder what happened to the last sale? Built by General Motors in England. can't imagine why anyone would buy this in CA if he's not sure it meets CA emission standards. I'd get it smogged if I was him as this would improve his chances of a sale. steve matthews wrote: Built by General Motors in England. annnnnnnnnnd it's back up once again... sounds like this car has gotten black listed? tedtaylor wrote: annnnnnnnnnd it's back up once again... sounds like this car has gotten black listed? Hey Guys, I have the car now. Its in the SF Bay Area. 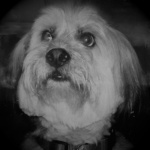 I am a long time Lotus builder/Collector and it seems I am running a foster home for abused Lotus. I look at the car and just wonder what the hell happened to it. Dash seems to have been out and its a mess of systems under the dash. Things hanging. I am not sure what the prior owner did to upgrade other than add tires and a battery. If it was a human it would be in the corner laying in a fetal position quietly sobbing and unable to speak, physical signs of abuse all over her. There is good and there is bad. I am not going to attempt a restoration but want to clean it up and register in Ca. Its got 75k and is considered used, as long as it passes the emissions for Federal it should be allowed to be registered. Not sure what I am thinking, I just hated to see it the way it was. 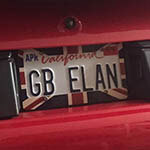 Hello from a fellow California Elaner! Sorry to hear its been abused; happy it's found a Lotus lover to put it right. Taillights may be a problem - they're increasingly difficult to find. Several different aftermarket shock setups are available. You should see quite a few discussions in the suspension sub-forum here on LEC. Try putting your requirements in the "Parts Wanted" section. Good luck with the refurbishment! Welcome - I'm a little closer to you than Tigerdog being in Mountain View. Give me a shout if I can be of assistance.